Being different in your brewing business and product range can give added appeal and give you a marketing advantage, but it also makes it necessary to use that strength of “difference” to offer a higher level of customer support – as is shown by this winning brewery’s entry. All micro-businesses have to be flexible, and have personalised service built into their operational ethos, but in this industry being a micro LAGER brewery increases these imperatives.There is no doubt that this company’s structured programme of support, through account opening, installation, point-of-sale, staff training, staff incentives, meet the brewer and brewery tour events, and day-to-day back-up and response, make it a worthy winner. Not too far westwards along the south coast, we find our e-winner. An infant brewery in comparison, but one that has far more than doubled its turnover since its first full trading year in 2008, and is now a force to be reckoned with in the SW. E-marketing has become the key to wide market access for small companies without huge marketing budgets. For this brewery, it has been fundamental in driving the business forward.With a broad-based approach – from the “traditional” website, through an online shop, e-bulletins to both drinkers and pub operators, to the cutting edge of social media sites Facebook and Twitter, activity on the e-waves has been unceasing. Furthermore, evaluation of internet engagement has been thorough, with constant monitoring of Facebook members, website hits, and Google analytics – providing clear evidence of a business campaign delivering real and successful results. With this brewery’s heritage, community support has been at the heart of its operation for many years. Choosing to single them out this year, when nothing in particular is different from their consistently excellent record, is perhaps arbitrary but nevertheless richly deserved and maybe even overdue. (Think of it as a “lifetime achievement” award! )The company itself is proud to point out that, in the past 12 months alone, £25,000 has been raised for a host of charities. 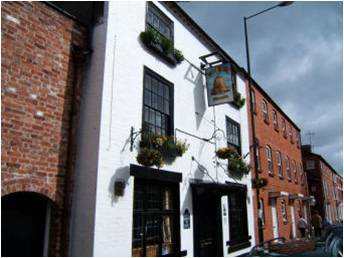 A village has been helped to re-open its local as a pioneer “community pub”. The new gig rowing club, founded in 2009, is up and running (rowing?) thanks to £7,000-worth of brewery support – plus the team fleeces. 5p per pint donated for sales of one beer raised £6,500 last year for the air ambulance fund , taking the total over the last few years to more than £20k. The list goes on: support for local RNLI stations, a sailing charity for the young and disabled – it all adds up to community integration at its finest, and it sets a standard for other brewers, young and old, to seek to emulate. A strong category, with a quick mention deserved for Wold Top and Hobsons for the high standard of their entries. 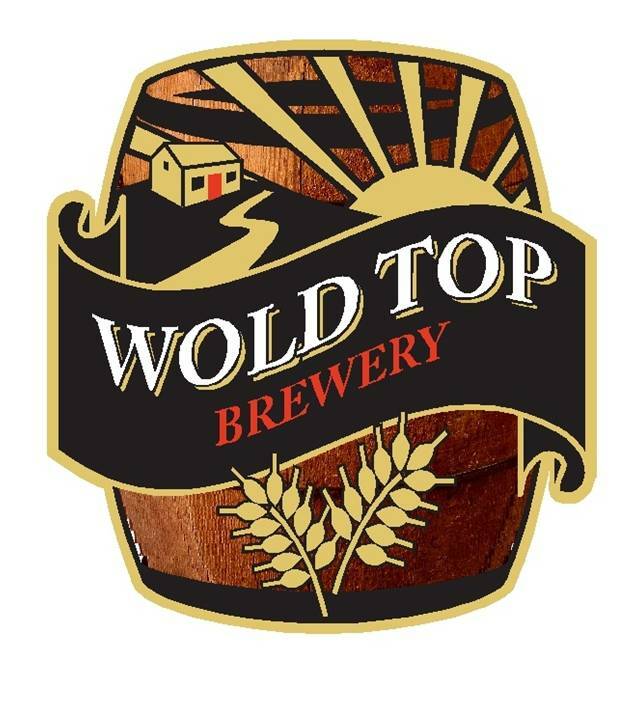 A local brewery with exceptional commitment to genuinely local sports teams – including Exeter Chiefs, Devon CCC, Lyme Regis Rowing Club, Exmouth RFC and the Royal Dart Yacht Club – and to village communities, schools and endangered rural pubs. 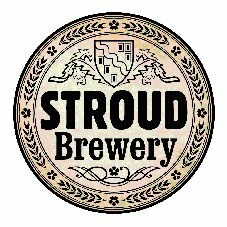 Underpinned by a mature and ethical policy of corporate social responsibility, this is a company that is fully immersed in all aspects of local life, through sponsorship, organisational support for festivals (and supply of beer, e.g. to Glastonbury! ), to educational visits to the brewery. It would take an especially strong entry to top the highly commended recipient: the ethically driven commitment of the winner does that – just! Brewing in a remote rural location such as this demands the greatest of sensitivity in approach to environmental effect and long-term sustainability. For a company of this size to be shortlisted against the likes of Coca Cola, Unilever and The Co-op for the national Corporate Responsibility and Sustainability Award shows just how well that has been achieved.Green thoughts underpin every aspect of production, including the UK’s first modern underground eco cellar – saving 6.5 tonnes of CO2 emissions: 8 24/7/365chillers and compressors (£27k of electricity a year), and “Eco Project of the Year” at the SW Property Awards. Its construction spec is highly technical, but its achievement is beautiful in its simplicity – and it’s topped off with a living grass roof that’s a haven for wildlife, absorbs CO2, and blends into its Blackdown Hills AONB surroundings. It catches rainwater used for washing vehicles and domestic maintenance. Heat is recycled and solar panels channel natural light to help illuminate lower levels and save even more energy!In addition, all of this course makes it an ideal focus for education. With a growth plan dedicated to achieving environmental, social and economic sustainability, this highly commended award recognises a holistic approach that, unlike other entries, counts shrewd financial planning as an essential prerequisite for sustainable operational viability. Business efficiency, marketing efficiency, community engagement, resource management, environmental planning – it’s a little difficult to restrict this entry to consideration for a single category. In spite of all the brilliant effort that goes into beer marketing, it remains rare for a campaign to become “top news”, but this was indeed what was achieved by our winner. Proving – with its own wise words – that “the early bird catches the worm”, being first out of the blocks was key to the phenomenal and worldwide success of this marketing idea. And following this up with an extremely well thought out and structured publicity and sales strategy, ultimately the only drawback was keeping up with production demands.There’s nothing original about a Royal Wedding beer, but doing it this well was a unique achievement. The name – Kiss Me Kate – was clever and appealing in its simplicity. Securing exclusive supply contracts with major on- and off-trade retailers demonstrated the soundest of commercial business practice. The idea to involve a local couple who were getting married on the same day – “sprinkling the hops on the wort like confetti” – was a stroke of genius! And the rapid response to the “viral” explosion of worldwide media interest was professionalism at its finest. For an imaginative, innovative and extremely well thought out collaboration with leading local restaurants, to organise beer and food matching events, targeting women and wine-drinking diners. Use of social media and beer-journalist “celebrities” drove publicity and ensured an informative and educational dimension. Getting Malmaison in Birmingham and Edgbaston’s Simpson’s restaurant to participate with so much enthusiasm was quite an achievement – but definitely indicative of the new wave of interest in craft beers. For an advertising campaign celebrating the brewery’s underlying ethos and the social context of “real people enjoying a real beer together”. well-known proverbs were given an amusing brewery twist: “Ours is not to reason why, ours is just to pour and try” – “A pint in the hand is worth a queue at the bar”. “Wye’s words” indeed! And if that’s not a big enough clue: “All work and no HPA makes Jack a dull boy”. “Having a dream” is one thing; getting it backed by your board of directors is another; seeing it brought to fruition is perhaps as good as it gets – but that’s what happened to the MD of this winning company. Creating their own buoyant “not-so-micro” climate within the dismal one depressing the rest of the country – indeed the world – meant spiralling sales (17% growth pa) and forced a leap of faith in the usually cautious world of boardroom decision-making.The decision was to treble production capacity – to 1,000 brls/wk – with a £4.2m development, to build a new brewery complex to replace the Victorian premises that were increasingly struggling to cope with growing demand.The result was the UK’s newest “regional brewer”, launched in a blaze of publicity. 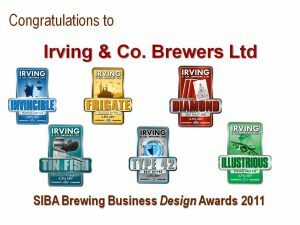 Within the world of British independent brewing, the judges could find no better example of exemplary business development, and no better statement of faith in and commitment to this manufacturing industry with which we are all so proud to be associated. It was noted earlier that the entry from this brewery did not sit with total comfort within one category. So much so, in fact, that it merits a further High Commendation in the field of overall business development. The plan was to give the seasonal beer range a new look that would set them apart from the core portfolio, whilst retaining and incorporating elements of the original flagship beer packaging. Emphasising the business’s farm-based heritage, its Yorkshire provenance, and the quality of raw materials, was seen as essential, and more than delivered by the finished result, which gives a real sense of Tom and Gill Mellors’ commitment as guardians of the land they farm, and the produce they create from it. This winning label just stood out – as of course it will on a retail shelf – and our judges included packaging professionals who were not themselves involved in its production. They were impressed with the successful blend of traditional three-label format (one judge in particular liked the existence of the neck label) and contemporary design, which encourages closer inspection of the clear and complete information. For the revision of a design range that had received accolades in the packaging category of a previous year’s SIBA Business Awards, this family of labels remains contemporary in its styling, but has replaced slightly confusing flavour information – caramel, toffee, citrus – with the recognisable and still concise Cyclops format, and is now wrap-around (for extra space and clarity) rather than front-and-back – sometimes one way works better, sometimes the other!. In addition, new products have extended the range. For a new design of the clip for a beer with a significant amount of heritage to be preserved (first brewed in 1948) while fitting it in with a contemporary redesign of the entire range – presented a particular challenge. The answer was found in an original clip from the 1950s; its vintage gold sunburst and lettering were so retro they were ready to be used again! Design is subjective, but sometimes several people’s subjective opinions come together in unanimity – as was the case with the judges for this award. 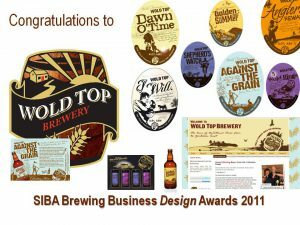 The praise was unanimous, the distinctive family styling was applauded by all, and the underlying remit given to the designer – read the brand and brewery names from 5 metres, keep images unfussy but throw in a little interesting or surprising detail for close-up appreciation, and be contemporary because we’re not very old! – made total sense and was clearly adhered to with great precision and loads of artistic flair. A regular and ongoing series of beers brewed to support the local Wildlife Trusts has benefited enormously from a restyling of its pumpclips with a stronger family identity. Very attractive, very bright, and clearly designed to appeal to the prospective purchaser. This is the first SIBA Local award. We have 100+ pub members now, which probably makes this the easiest year there’ll ever be to be the winner! But the first 100 SIBA Locals – the very keenest to sign up – are among the very best, so don’t let the small(ish) field detract from the quality of the winner.It’s a pub whose landlord sees top quality local beer as indicative of his commitment to the very highest standards in everything else the pub has to offer. He is proud to be a custodian of real ale, and ensures his staff are fully inducted, trained and encouraged to share his passion and communicate it to the pub’s customers. 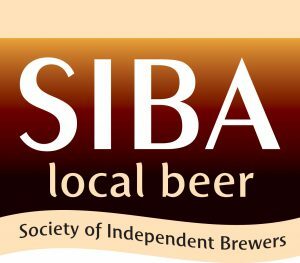 SIBA brewers’ ales – regulars and guests – dominate the beer boards, and in the landlord’s opinion they are the essential heart of his business offering.He and his pub are just the sort of local beer champions we need! In view of the quality of the highly commended recipients, the winner had to be good. 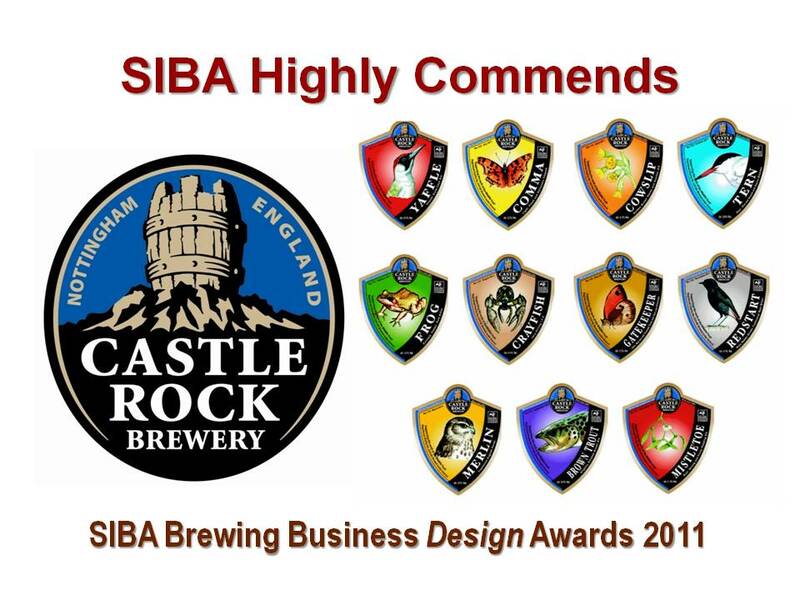 In some contrast, this company has been part of the SIBA furniture for a lot longer, and is undoubtedly more integral to the core activity of local brewing – brewing great beer. 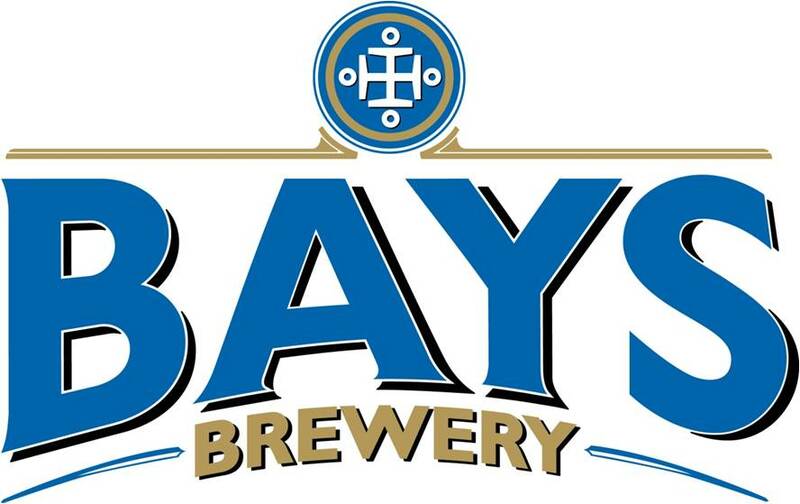 Its ability to move with the microbrewing times and focus on the specific needs of the small brewer has been crucial to the growth of an industry founded on quality.The nomination from Ramsgate Brewery pointed out that hops delivered in the traditional 75kg “pocket” could not be kept at their best for the time taken by a small operator to use them. Small vacuum packs have proved to be a largely unsung solution to this problem. To quote the nomination: ” Today the vast majority of smaller brewers use beautifully aromatic, bright green hops that add such wonderful qualities to their beers, thanks to vacuum packing and the vast array of varieties available from this supplier. This has been essential in producing the huge range of wonderful beers that the public are enjoying today.”Furthermore, this is a business that is renowned among all active SIBA members (and employees) for the highest level of support, through sponsorship at many levels, hands-on regional participation, and regular attendance at as many SIBA events – meetings, beer competitions, conference – as possible. It’s gratifying to receive a nomination for a company that has been able to tailor its services to the specific and somewhat atypical needs of a brewery. Islay Ales doesn’t have quite as much ready access to substantial markets as most local brewers, but the assistance of this associate member has made a very real difference, through its invaluable support in the key areas of sales, distribution and delivery fulfilment. Availability of Islay beers has been substantially increased, and markets have been opened up that would not otherwise have been commercially viable. But it should further be noted that this is not just a service for remote breweries, as testimonials from Sambrook’s in London and Brentwood in Essex prove. It is also pleasing to report that this company’s track record, as with the two that follow, is driven as much by a passion for beer as the quest for profit. 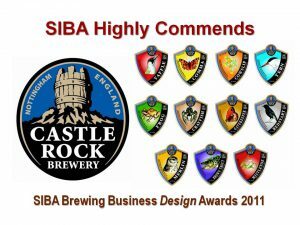 Relatively new to SIBA, this company has nevertheless made its presence felt to startling – and wholly beneficial – effect. 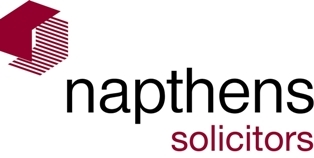 With their expertise in all aspects of industry, employment and licensing law, their provision of a helpline has been of great use to many a member. That was enough to secure them a nomination from Hambleton Ales. But a second nomination (from Hawkshead) highlighted their “formidable networking skills”, their natural enthusiasm for the brewing industry above and beyond the call of duty, and in particular their total and free-of-charge support for and input into the organisation of the Great Northern Beer Festival. Finding PR and corporate sponsors, helping with contracts – they did it all and came within a whisker of winning this award. No doubt in tune with the ethics too, but it’s the sheer professionalism of the winning brewery – the business drive – that wins the day this year. There’s no sitting back, for a company that a year ago won Champion Beer of Britain; that a year ago opened a bigger brewery; that is at the forefront of good pub development; that is constantly evolving its range of core, themed and seasonal beers and pays close attention to their point-of-sale presentation; and that turns a simple marketing idea into a global phenomenon.With Kiss Me Kate, they beat everyone else in the Royal Wedding Ale market, and with Kiss Me Kate they beat some exceptionally strong competition in today’s Best Marketing category. 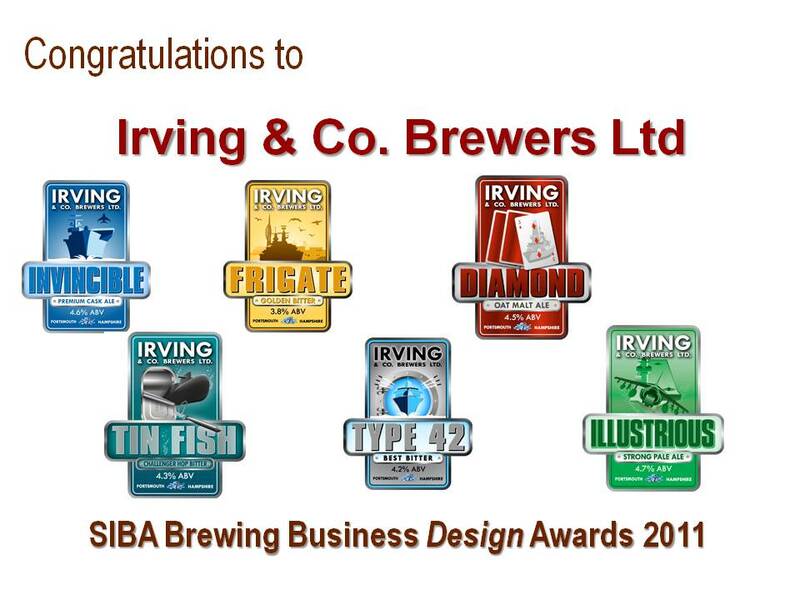 They are the SIBA Business Awards Brewer of the Year! This year’s Business Awards have an Overall Winner, and an Overall High Commendation. 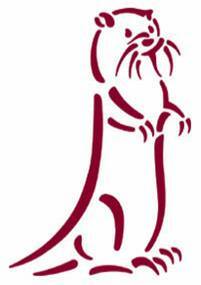 The latter is a brewery that epitomises the ethics of local brewing, but has been doing that for much longer than the average SIBA member – by virtue of being such an old company! Good-beer focused, people-focused, community-focused – it’s a long time to have been flying the flag since 1794, but they do it, and long may they continue to do it. 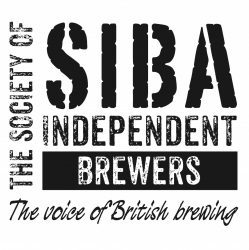 SIBA is immensely proud to have them as members.